Most airlines start to drop their prices towards the end of August. Why not take advantage by booking a late August 2019 Florida holiday? If you book early you could save as much as £300 per person. These flights sell out fast – contact us today to reserve your seat. Our August 2019 Florida holiday includes Virgin flights direct to Orlando (from Gatwick, Manchester or Glasgow), two weeks in a Regal Oaks Resort townhouse and a fully-insured vehicle hire. Our price is based on a group of four adults and four children staying together. If you have different requirements, get in touch. We can prepare a custom quote for any Florida holiday August 2019. 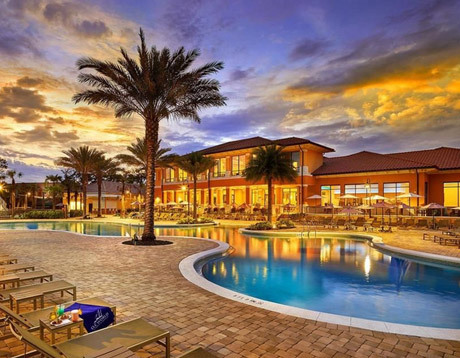 Our August 2019 Florida holiday includes two weeks in a comfortable townhouse at Regal Oaks Resort in Kissimmee. 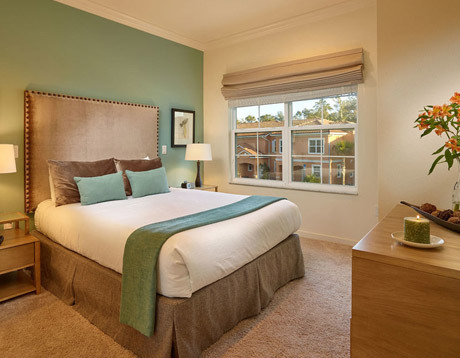 Set in an area of forest and natural lakes, Regal Oaks Resort is located just over a mile from Interstate 4 (the main connecting highway in Orlando). There are plenty of shops, restaurants, bars and night clubs nearby. Facilities at the resort include a restaurant, clubhouse with mini-market and gym and a pool with water slides. The beautiful grounds are well-maintained and there are plenty of friendly staff. 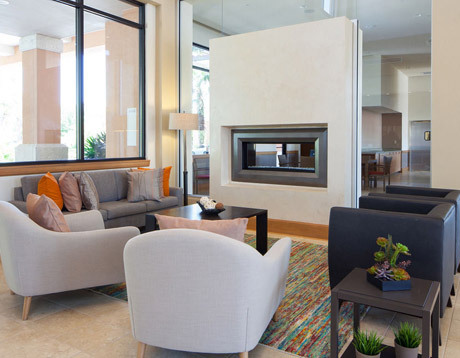 The community is gated, providing additional peace of mind. The townhouses are furnished to the highest standards. The 4-bedroom properties typically have 3 bathrooms, a fully equipped kitchen, living area with TV, air-conditioning throughout, private balcony, and a large terrace with a Jacuzzi. We think Regal Oaks offers great quality at a terrific price, but don't just take our word for it. Check out the independent reviews on TripAdvisor. Over 250 reviews average out at 4.5 stars. If Regal Oaks doesn't suit your requirements, let us know. 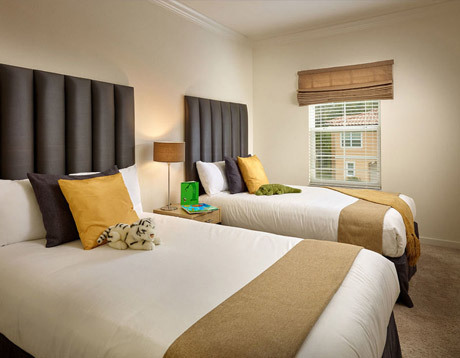 We can put together a personalised quote for your ideal August 2019 Orlando holiday. Our August 2019 Florida holiday includes Virgin flights direct to Orlando from Glasgow, Manchester or Gatwick. If you'd prefer to fly from a different UK airport, we can arrange a connecting flight for a supplement. Your luggage will be checked directly through to Orlando. Read more about Virgin's family-friendly flights on their website. If you prefer to fly with a different airline, we can accommodate your needs. Complete a quick online enquiry form for a bespoke quote. We can build any August 2019 Florida holiday package. Our August 2019 Florida holiday includes fully-insured vehicle hire. Choose either an 8-seat minivan or two midsize SUVs – the cost is the same. 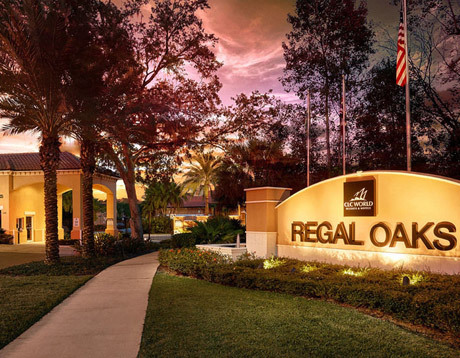 Your vehicle(s) can be picked up at Orlando International, allowing you to drive directly to Regal Oaks. We compare prices from Budget, Dollar, Alamo and Avis. If you have a preference or any specific requirements, get in touch. We can provide a bespoke quote for your ideal August 2019 Florida holiday. This August 2019 Florida holiday is available from £985 per person. Book with a deposit of just £100 per person, ATOL protected. The balance is due 90 days before departure. Don't forget, August 2019 Florida flights will sell out quickly so don't delay. Email us or call us on 01934 319 851 and speak to one of our knowledgeable Florida experts. If this holiday doesn't appeal, why not take a look at some of our other suggestions? We have offers for every month of the year and can build any Florida holiday package. Stay in an apartment, villa or hotel. Fly from your local UK airport. Explore Florida at your own pace in a fully-insured vehicle. Book with a low deposit. All of our Florida holidays are fully ATOL protected. If August isn't suitable, we have a great value July 2019 Florida holiday. Fly Virgin to Orlando and stay in a Highlands Reserve villa near to Disney World. We even include fully-insured vehicle hire. Enjoy the theme parks and drive to the beautiful coastlines. Book on deposit with ATOL protection. How about a Florida holiday in the spooky season? The theme parks run Halloween events throughout October – ideal for a family half-term holiday. Enjoy a fortnight in an Emerald Island villa close to Disney World. Drive a fully insured minivan. Book early on deposit for the best value half-term dates and first choice on accommodation.